We are interested in producing a trajectory for an aerial robot with a suspended load that delivers the load to a destination in a swing-free fashion while avoiding static obstacles. Through the integration of sampling-based motion planning and reinforcement learning, we are able to quickly find swing-free, collision-free paths for these UAVs. Motion planning in an dynamic environment is complicated by the need for constant adjustments of plans to account for stochastically moving obstacles. Yet, it is critical in real-world applications such as flight coordination, assistive robots and autonomous vehicles. We focus on developing real-time motion planners for environments with a large number of stochastically moving obstacles and robot sensor uncertainty. We developed methods that works even when moving obstacles have strongly-interacting stochastic dynamics or completely unknown dynamics. 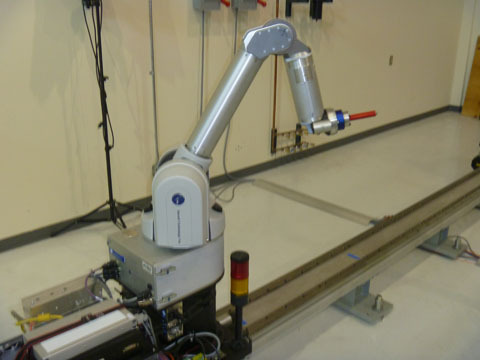 Robotic task learning is often difficult to achieve due to the complex nature of the tasks and the complex dynamics of the robot. 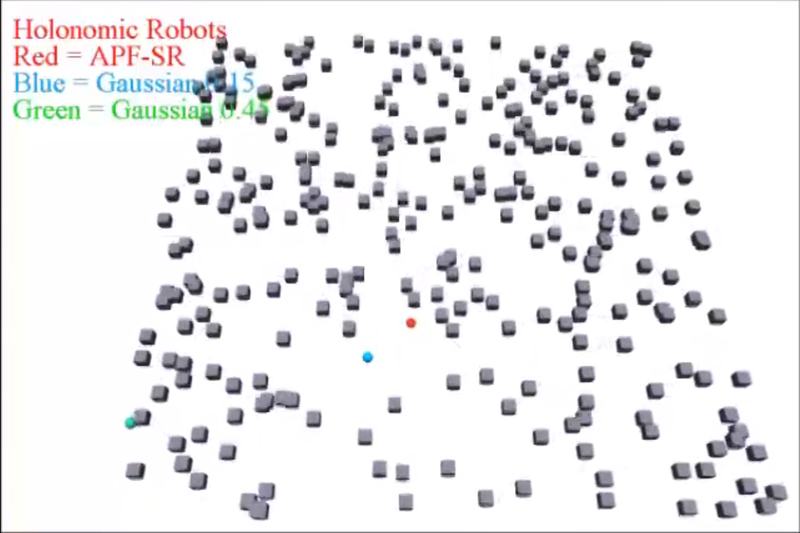 We explore the application of reinforcement learning (RL) in order to learn complex motions for robotic task. Specifically, we explore new methodologies in order to operate in complex continuous robotic task spaces and optimize the time to learning convergence. IgE antibodies bound to cell-surface receptors, FceRI, crosslink through the binding of antigens on cell surfaces. This formation of aggregates is what simulates mast cells and basophils in order to initiate an allergic response. Experimental studies have shown that the spatial organization of aggregated IgE-FceRI complexes affect transmembrane signaling that initiate these responses. 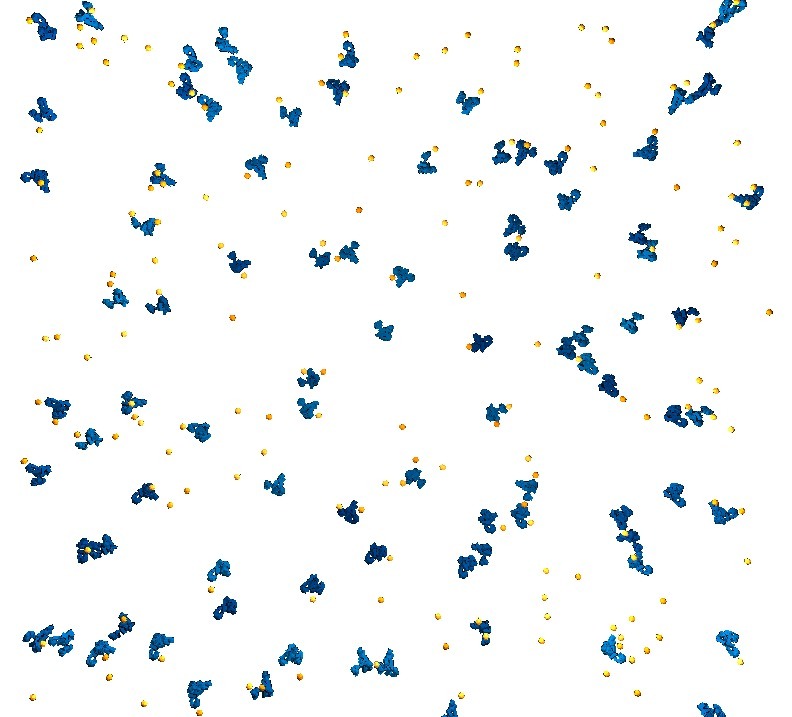 Using motion-planning inspired methods, we simulate the interactions of hundreds of molecules. Kinesin-1 is a microtubule motor protein which is responsible for the transport of vesicles along axons. Impaired motor protein axonal cargo transport may be implicated in a variety of human neurodegenerative diseases. We investigate the kinesin stepping mechanism by combining robotics techniques with energy calculations of 3D geometric models of the kinesin head and microtubule. The goal of this computational study is to enable a mechanistic understanding of how molecular scale obstacles on the microtubule track affect kinesin motion. 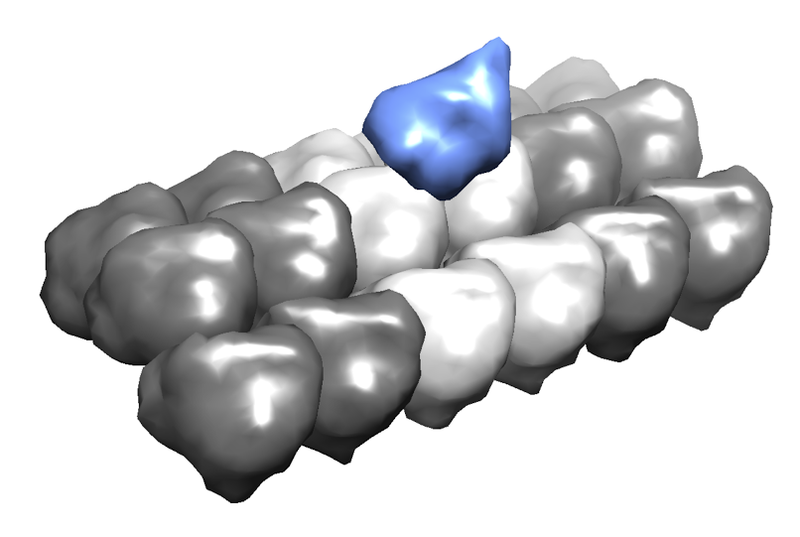 Using motion planning techniques and dynamics simulation, we have investigated molecular binding. We are specifically interested in immune system complexes that show wide affinity to a variety of peptides including T-Cell Receptors and Major Histocompatibility Complex. Effective collaboration betweens humans and automated systems can enable performance simply not possible fully automated or fully human control, especially in dynamic and uncertain environments. Molecular docking is an important problem in biology for the study of immune systems, allergies, and many more processes. Automated methods for solving molecular docking can be computationally expensive, instead, we use an approach to take advantage of human intuition. To accomplish this, we developed a molecular docking game that was expanded to a crowdsourcing application. Kasra Manavi and Lydia Tapia, "Influence of Model Resolution on Antibody Aggregation Simulations", In Proc. RSS Workshop on Robotics Methods for Structural and Dynamic Modeling of Molecular Systems (RMMS), pp. 1754-1776, Berkeley, CA, U.S.A., July 2014. Torin Adamson, John Baxter, Kasra Manavi, Bruna Jacobson and Lydia Tapia, "Crowdsourced Molecular Docking Using Path-Planning and Haptic Devices", In Proc. 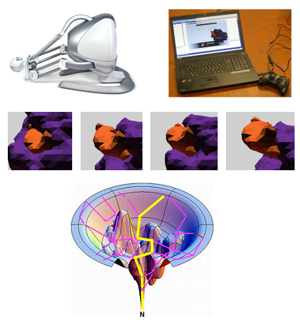 RSS Workshop on Robotics Methods for Structural and Dynamic Modeling of Molecular Systems (RMMS), Berkeley, CA, U.S.A., July 2014. Aleksandra Faust, Nick Malone, Lydia Tapia, "Planning Preference-balancing Motions with Stochastic Disturbances", Machine Learning in Planning and Control of Robot Motion Workshop at IEEE/RSJ International Conference on Intelligent Robots and Systems (IROS), Chicago, IL, U.S.A., Sep. 2014. Nick Malone, Kendra Lesser, Meeko Oishi, Lydia Tapia, "Stochastic Reachability Based Motion Planning for Multiple Moving Obstacle Avoidance", In Proc. International Conference on Hybrid Systems: Computation and Control (HSCC), pp. 51-60, Berlin, Germany, Apr. 2014. Rafael Figueroa, Aleksandra Faust, Patricio Cruz, Lydia Tapia, Rafael Fierro, "Reinforcement Learning for Balancing a Flying Inverted Pendulum", In Proc. The 11th World Congress on Intelligent Control and Automation (WCICA), pp. 3555-3562, Shenyang, China, July 2014. Aleksandra Faust, Peter Ruymgaart, Molly Salman, Rafael Fierro, Lydia Tapia, "Continuous Action Reinforcement Learning for Control-Affine Systems with Unknown Dynamics", Acta Automatica Sinica Special Issue of Extensions of Reinforcement Learning and Adaptive Control, 1(3) pp. 323-336, July 2014. Also, Technical Report TR13-002, Department of Computer Science, University of New Mexico, June 2014. Aleksandra Faust, Ivana Palunko, Patricio Cruz, Rafael Fierro, Lydia Tapia, "Aerial Suspended Cargo Delivery through Reinforcement Learning", Artifical Intelligence Journal 247 Special Issue on Leaning and Robotics, pp. 381-398, June 2015. Also, Technical Report TR13-001, Department of Computer Science, University of New Mexico, Aug. 2013. Nick Malone, Kasra Manavi, John Wood, Lydia Tapia, "Construction and Use of Roadmaps that Incorporate Workspace Modeling Errors," In Proc. IEEE/RSJ International Conference on Intelligent Robots and Systems (IROS), pp. 1264-1271, Tokyo, Japan, Nov. 2013. Kasra Manavi, Alan Kuntz, Lydia Tapia, "Geometrical Insights into the Process of Antibody Aggregation," In Proc. the AAAI Workshop on Artificial Intelligence and Robotics Methods in Computational Biology (AIRMCB), Bellevue, WA, U.S.A., July 2013. Aleksandra Faust, Ivana Palunko, Patricio Cruz, Rafael Fierro, Lydia Tapia, "Learning Swing-free Trajectories for UAVs with a Suspended Load," IEEE International Conference on Robotics and Automation (ICRA), pp. 4887-4894, Karlsruhe, Germany, May 2013. Ivana Palunko, Aleksandra Faust, Patricio Cruz, Lydia Tapia, Rafael Fierro, "A Reinforcement Learning Approach to Suspended Load Manipulation with Aerial Robots," IEEE International Conference on Robotics and Automation (ICRA), pp. 4881-4886, Karlsruhe, Germany, May 2013. Kasra Manavi, Bridget Wilson, Lydia Tapia, "Simulation and Analysis of Antibody Aggregation on Cell Surfaces Using Motion Planning and Graph Analysis," In Proc. the ACM Conf. on Bioinformatics, Computational Biology and Biomedicine (ACM-BCB), pp. 458-465, Orlando, Florida, U.S.A., Oct. 2012. Troy McMahon, Sam Ade Jacobs, Bryan Boyd, Lydia Tapia, Nancy M. Amato, "Local Randomization in Neighbor Selection Improves PRM Roadmap Quality," In Proc. IEEE/RSJ International Conference on Intelligent Robots and Systems (IROS), pp. 4441-4448, Vilamoura, Portugal, Oct. 2012. Nick Malone, Aleksandra Faust, Brandon Rohrer, John Wood, Lydia Tapia, "Efficient Motion-based Task Learning," Robot Motion Planning Workshop, In IEEE/RSJ International Conference on Intelligent Robots and Systems (IROS), Vilamoura, Portugal, Oct. 2012. Nick Malone, Brandon Rohrer, Lydia Tapia, Ron Lumia, John Wood, "Implementation of an Embodied General Reinforcement Learner on a Serial Link Manipulator," In Proc. IEEE International Conference on Robotics and Automation (ICRA), pp. 862-869, St. Paul, MN, U.S.A., May 2012. Troy McMahon, Sam Ade Jacobs, Bryan Boyd, Lydia Tapia, Nancy M. Amato, "Evaluation of the K-closest Neighbor Selection Strategy for PRM Construction," Technical Report, TR12-001, Department of Computer Science and Engineering, Texas A&M University, Jan. 2012. Troy McMahon, Sam Ade Jacobs, Bryan Boyd, Lydia Tapia, Nancy M. Amato, "Evaluation of the K-closest Neighbor Selection Strategy for PRM Construction (Full Version)," Technical Report, TR12-002, Department of Computer Science and Engineering, Texas A&M University, Jan. 2012. Jory Denny, Anshul Agrawal, Evan Greco, Lydia Tapia, Nancy M. Amato, "Region Identification Methods for Efficient and Automated Motion Planning," Technical Report, TR10-002, Parasol Laboratory, Department of Computer Science, Texas A&M University, College Station, Texas, U.S.A., Sep. 2010. Lydia Tapia, Shawna Thomas, Nancy M. Amato, "A Motion Planning Approach to Studying Molecular Motions," Communications in Information and Systems, 10(1), pp. 53-68, 2010. Also, Technical Report, TR08-006, Parasol Laboratory, Department of Computer Science, Texas A&M University, Nov. 2008. Lydia Tapia, "Intelligent Motion Planning and Analysis with Probabilistic Roadmap Methods for the Study of Complex and High-Dimensional Motions," Ph.D. Thesis, Parasol Laboratory, Department of Computer Science, Texas A&M University, College Station, Texas, Dec. 2009. Lydia Tapia, Shawna Thomas, Bryan Boyd, Nancy M. Amato, "An Unsupervised Adaptive Strategy for Constructing Probabilistic Roadmaps," In Proc. IEEE Int. Conf. Robot. Autom. (ICRA), pp. 4037-4044, Kobe, Japan, May 2009. Also, Technical Report, TR08-004, Parasol Laboratory, Department of Computer Science, Texas A&M University, College Station, Texas, U.S.A., Sep. 2008. Shawna Thomas, Lydia Tapia, Nancy M. Amato, "Protein Folding Core Identification from Rigidity Analysis and Motion Planning," Technical Report, TR08-001, Parasol Laboratory, Department of Computer Science, Texas A&M University, Oct. 2008. Lydia Tapia, Shawna Thomas, Nancy M. Amato, "Using Dimensionality Reduction to Better Capture RNA and Protein Folding Motions," Technical Report, TR08-005, Parasol Laboratory, Department of Computer Science, Texas A&M University, College Station, TX, U.S.A., Oct. 2008. Xinyu Tang, Shawna Thomas, Lydia Tapia, David P. Giedroc, Nancy M. Amato, "Simulating RNA Folding Kinetics on Approximated Energy Landscapes," Journal of Molecular Biology, 3811(4), pp. 1055-1067, Sep. 2008. Also, Technical Report, TR07-008, Parasol Laboratory, Department of Computer Science, Texas A&M University, Oct. 2007. Xinyu Tang, Shawna Thomas, Lydia Tapia, Nancy M. Amato, "Tools for Simulating and Analyzing RNA Folding Kinetics," Technical Report, TR07-007, Parasol Laboratory, Department of Computer Science, Texas A&M University, Oct. 2007. Also, In Proc. Int. Conf. Comput. Molecular Biology (RECOMB), pp. 268-282, San Francisco, CA, U.S.A., Apr. 2007. Lydia Tapia, Xinyu Tang, Shawna Thomas, Nancy M. Amato, "Kinetics Analysis Methods For Approximate Folding Landscapes," In Int. Conf. on Int. Sys. for Mol. Bio. (ISMB)/European Conf. on Comp. Bio. (ECCB), Vienna, Austria, Jul 2007. Also, Bioinformatics, 23(13), pp. i539-i548, Jul. 2007. Also, Technical Report, TR07-002, Parasol Laboratory, Department of Computer Science, Texas A&M University, Feb. 2007. Shawna Thomas, Xinyu Tang, Lydia Tapia, Nancy M. Amato, "Simulating Protein Motions with Rigidity Analysis," Journal of Computational Biology, 14(6) pp. 839-855, Jul. 2007. Also, In Proc. Int. Conf. Comput. Molecular Biology (RECOMB), pp. 394-409, Apr. 2006. Also, Technical Report, TR05-008, Parasol Laboratory, Department of Computer Science, Texas A&M University, Sep. 2005. Lydia Tapia, Xinyu Tang, Shawna Thomas, Nancy M. Amato, "Roadmap-Based Methods for Studying Protein Folding Kinetics," Technical Report, TR06-011, Parasol Laboratory, Department of Computer Science, Texas A&M University, Oct. 2006. Marco A. Morales A., Lydia Tapia, Roger Pearce, Samuel Rodriguez, Nancy M. Amato, "C-Space Subdivision and Integration in Feature-Sensitive Motion Planning," In Proc. IEEE Int. Conf. Robot. Autom. (ICRA), pp. 3114-3119, Barcelona, Spain, May 2005. Also, Technical Report, TR04-004, Parasol Laboratory, Department of Computer Science, Texas A&M University, College Station, Texas, U.S.A., Sep. 2004. Marco Morales, Lydia Tapia, Roger Pearce, Samuel Rodriguez, Nancy M. Amato, "A Machine Learning Approach for Feature-Sensitive Motion Planning," In Proc. Int. Wkshp. on Alg. Found. of Rob. (WAFR), pp. 361-376, Utrecht/Zeist, The Netherlands, Jul 2004. Also, Technical Report, TR04-001, Parasol Laboratory, Department of Computer Science, Texas A&M University, College Station, Texas, U.S.A., Feb. 2004.